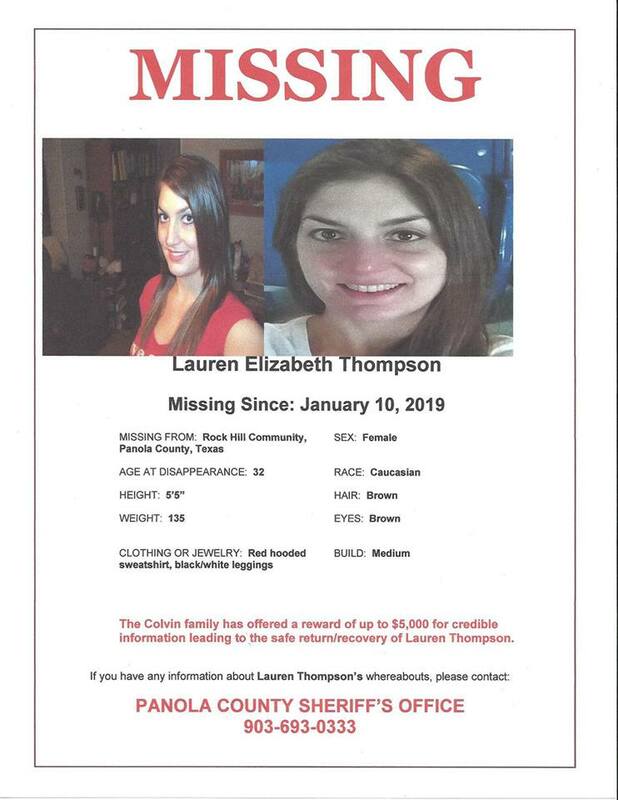 Authorities are continuing their search for a Panola County woman who called 911 and then disappeared in early January. Lauren Thompson disappeared from the Rock Hill area after telling dispatchers she was in a wooded area and someone was chasing her. Thompson is described as a white female in her 30s, about 5-feet, 5-inches tall and 190 pounds with brown hair and brown eyes. Thompson’s family has offered a $5,000 reward for information in the case.